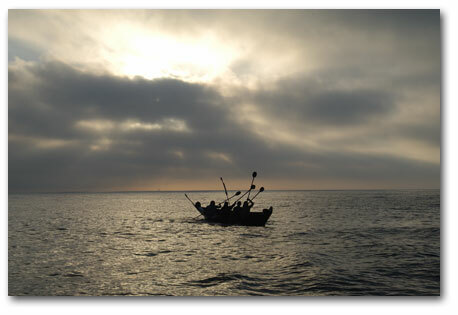 The waters surrounding the Channel Islands provide present day man with a window into past cultures. Located at the islands are the remains of perhaps the earliest island inhabitants, dating back 13,000 years BP. Historically the islands were a special place to the Native Americans known as the Chumash who traveled to the islands in plank canoes called tomols.